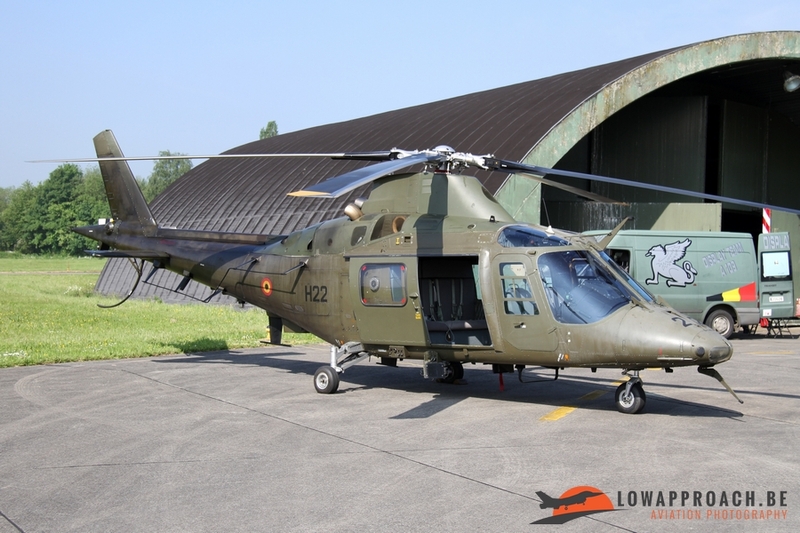 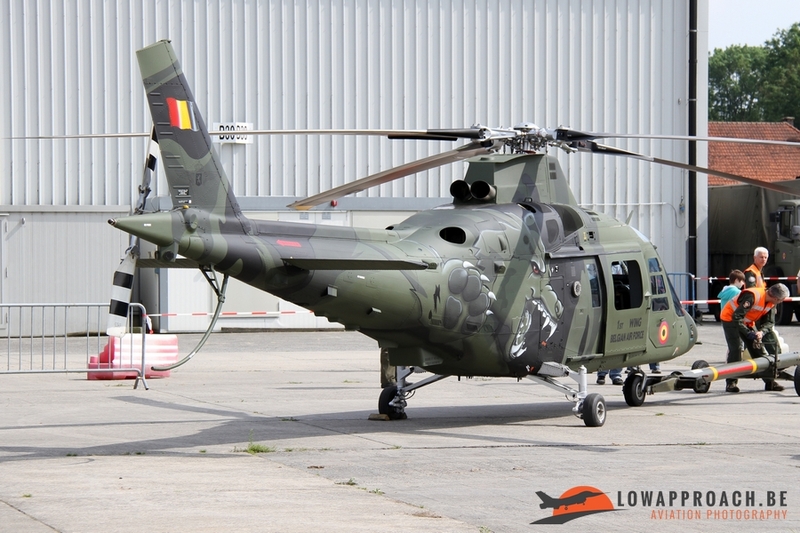 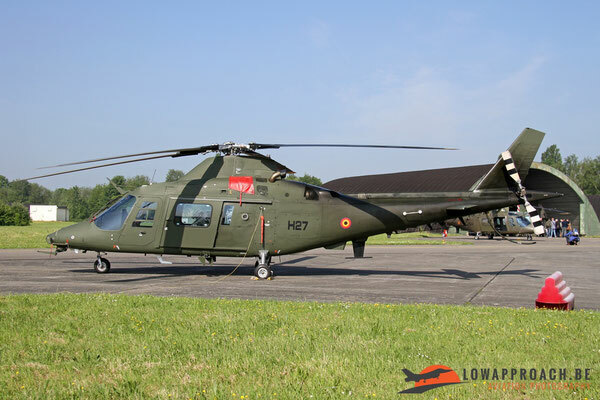 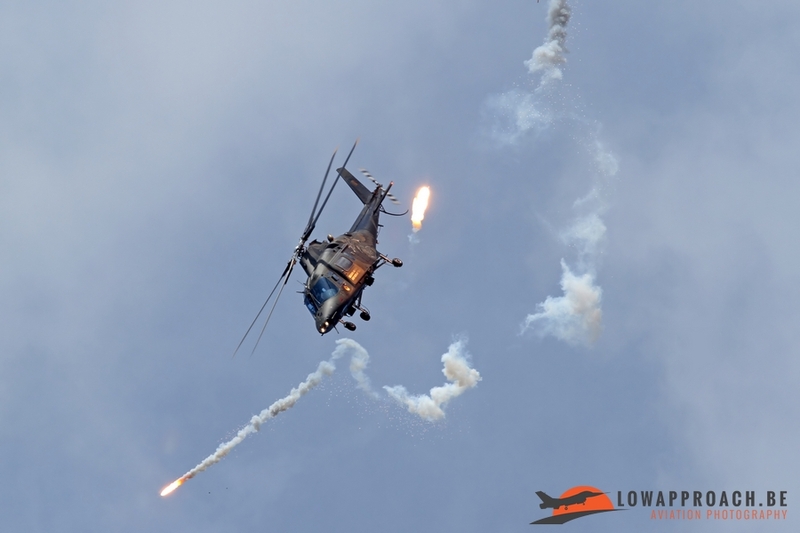 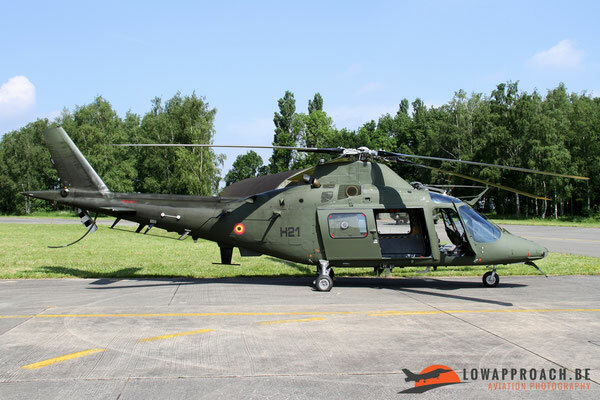 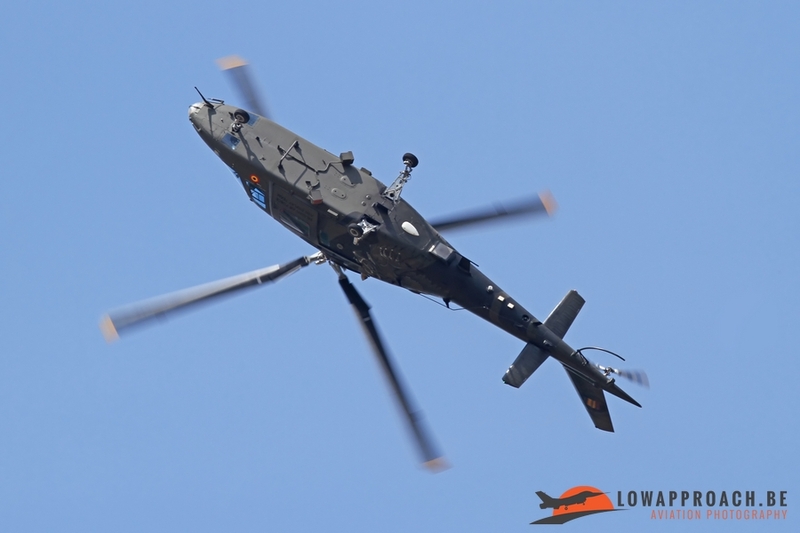 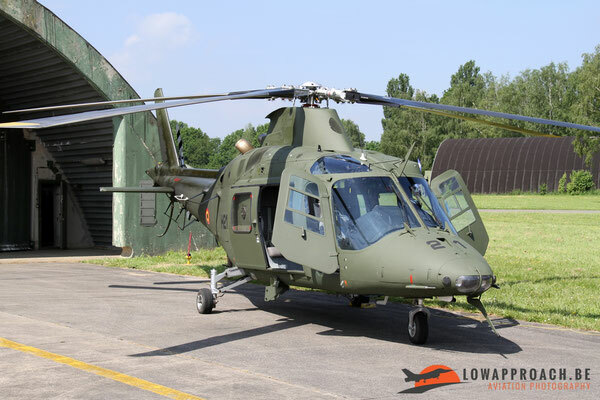 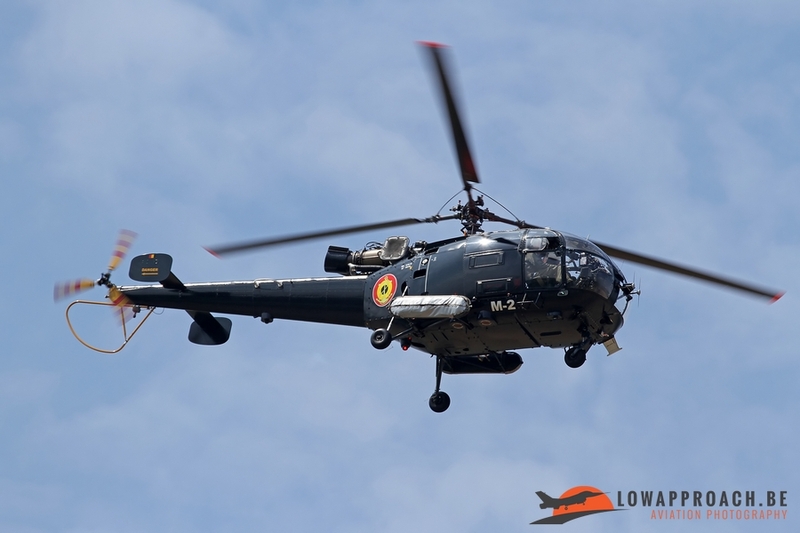 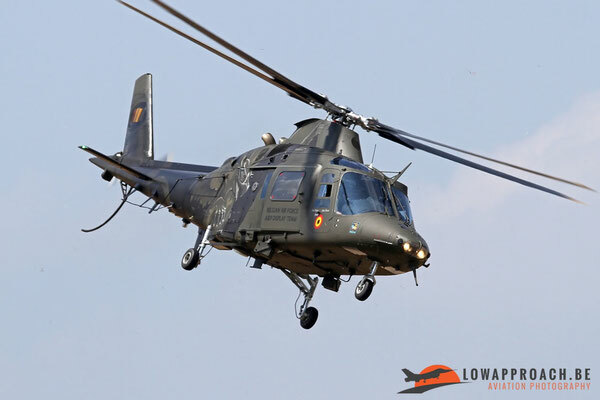 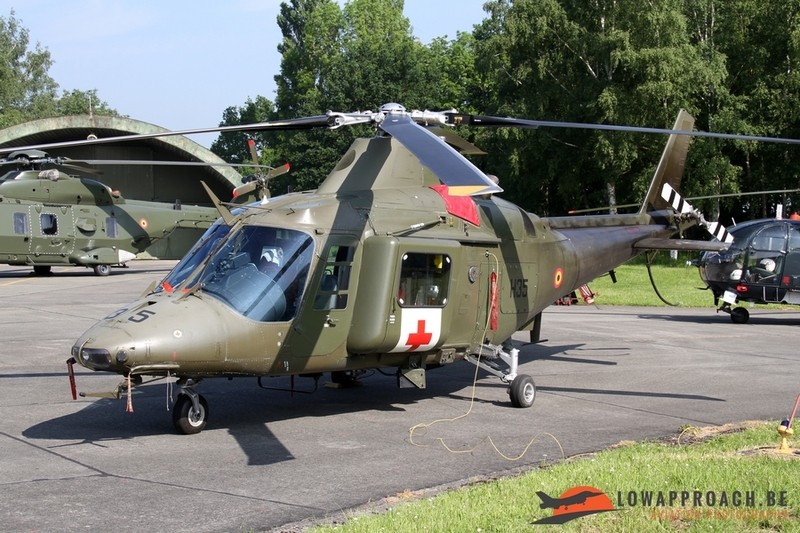 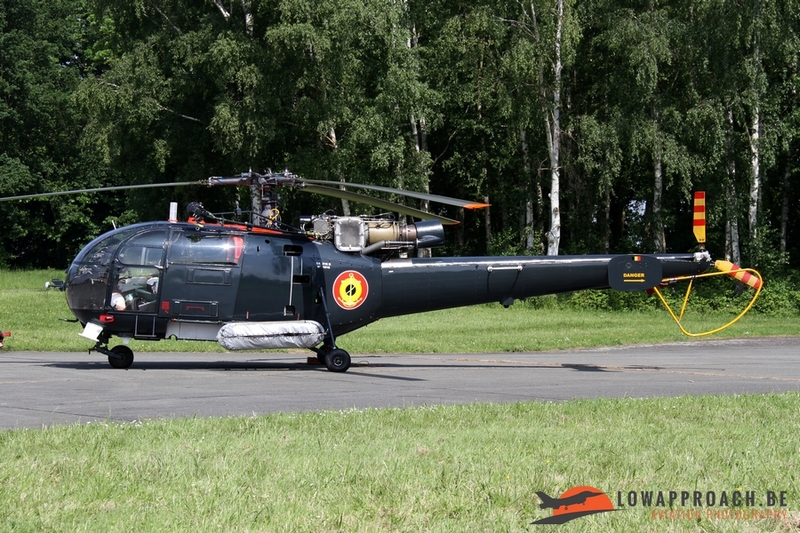 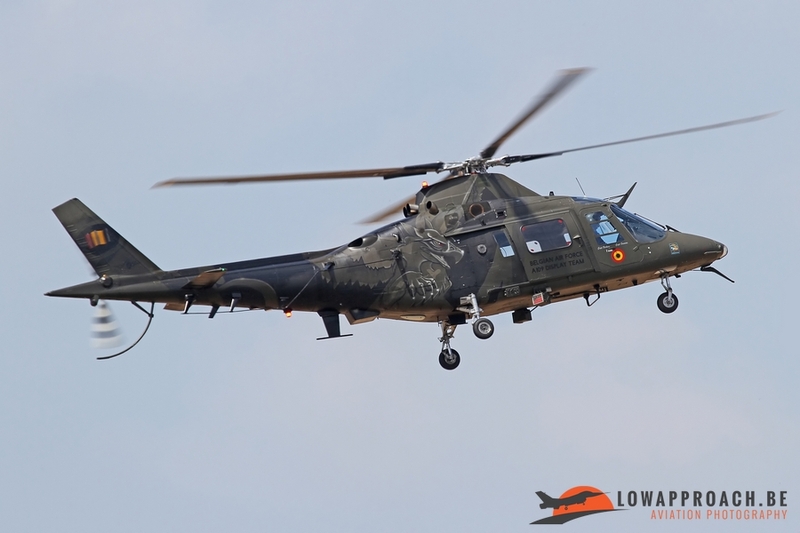 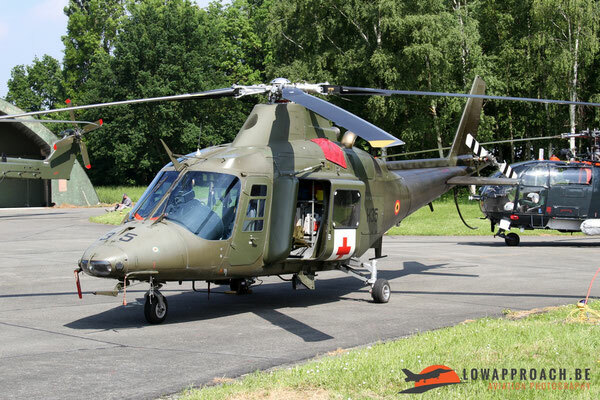 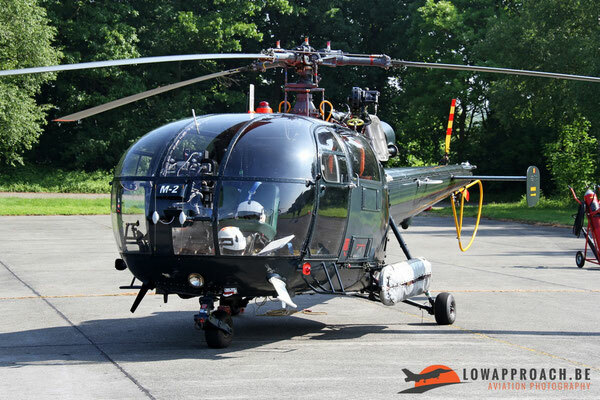 On May 26th, 2016 the spotters community was invited by the Belgian Air Component to attend an event at Beauvechain airbase in the wake of the ongoing Tactical Helicopter Procedures Update exercise. Unlike like last year the exercise was limited to Belgian participants as due to the current security situation in Europe foreign air forces decided not to attend. In the morning we were given the possibility to photograph all types currently in use within the 1 Wing based at Beauvechain. 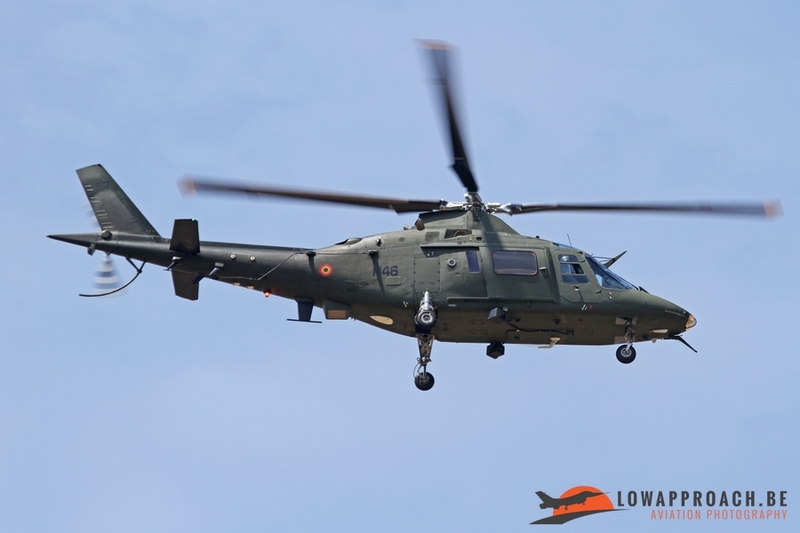 A nice selection of Agusta A109s in multiple versions was on show. 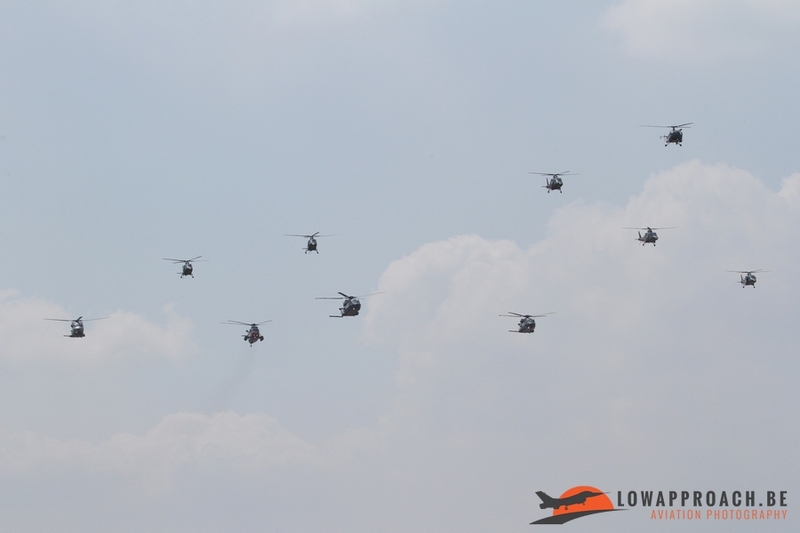 Some of the helicopters present were wearing a new color scheme which is greener compared to the more brownish scheme used before. This illustrates the drive to standardization within the Belgian helicopter force, although the new A109 colors are not exactly the same as the ones applied to the NH90MTHs. 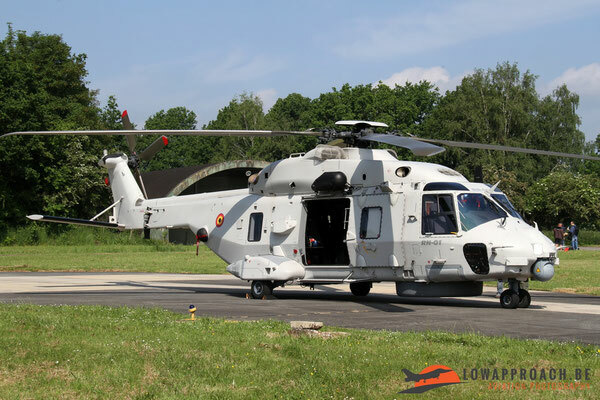 The NH Industries NH90 was present in the two versions acquired by Belgium. The grey NH90NFH (Nato Frigate Helicopters) is used by 40 Squadron based at Koksijde airbase and is gradually taking over the search-and-rescue role from the Westland Sea King. 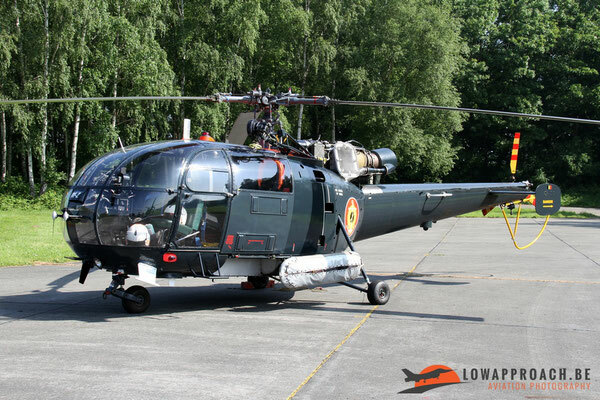 At the same time the crews are getting qualified for deck landings on the Belgian Navy Frigates, so that they can be deployed worldwide on board these ships once the Alouette III are taken out of service. 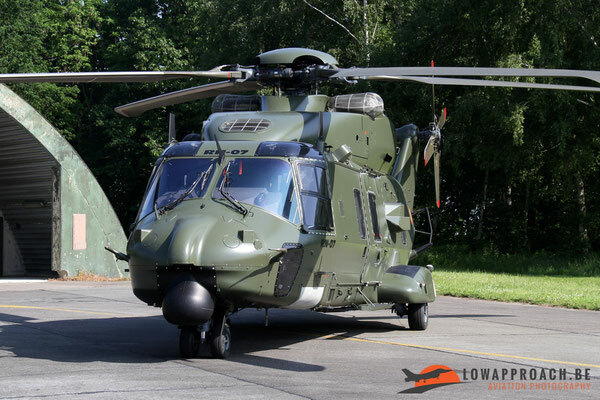 The green NH90MTHs (Multi-Purpose Transport Helicopter) are flown by 18 Squadron based at Beauvechain, where also all major maintenance on both NH90-versions is done. The Westland Sea King will be kept in service for a couple more years, at least until 2018, when the remaining three will be grounded. 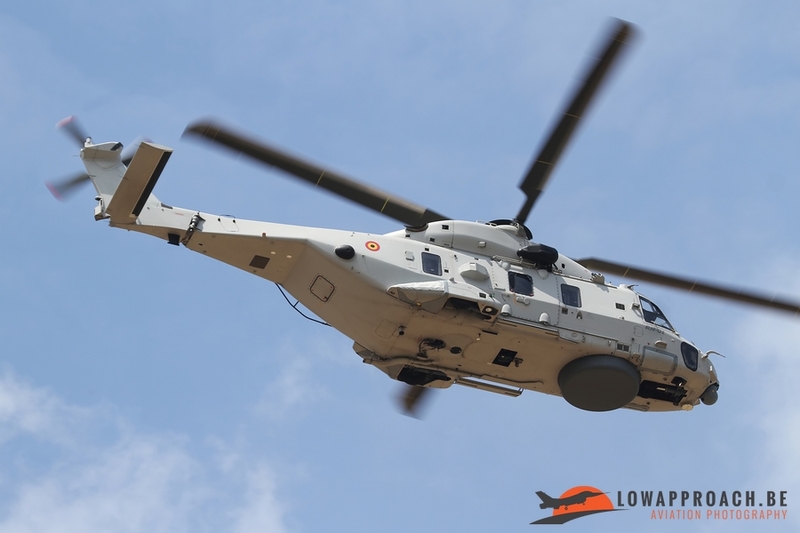 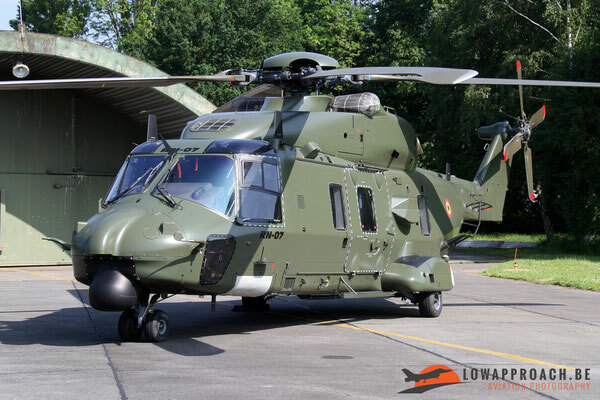 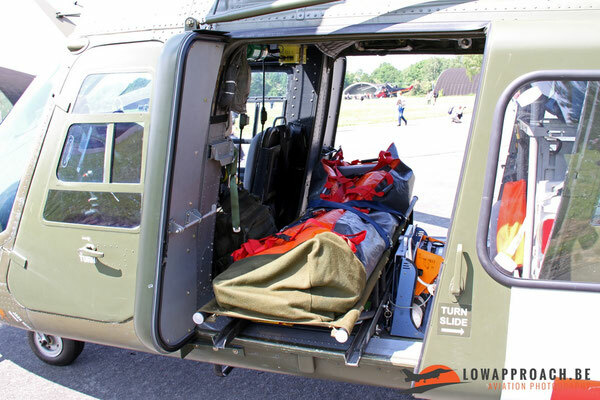 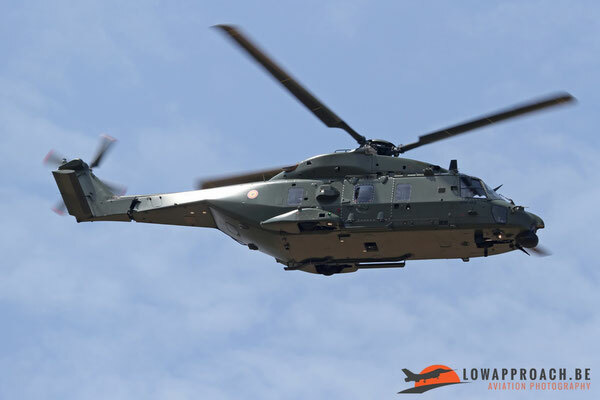 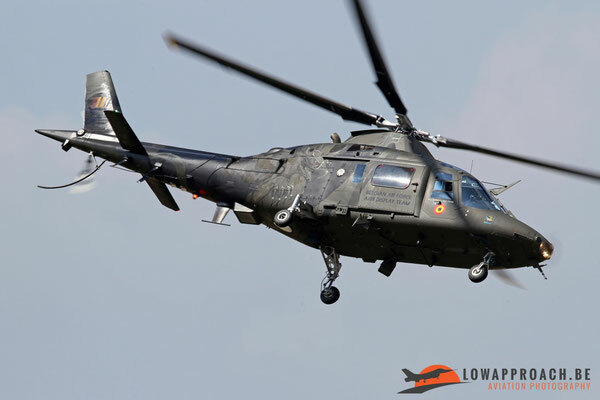 The reason for this extended service is that the three already delivered NH90NFHs will have to undergo an upgrade, so their availability will be limited, for that same reason the last NH90NFH to be delivered is currently kept in the factory at Donauwörth. 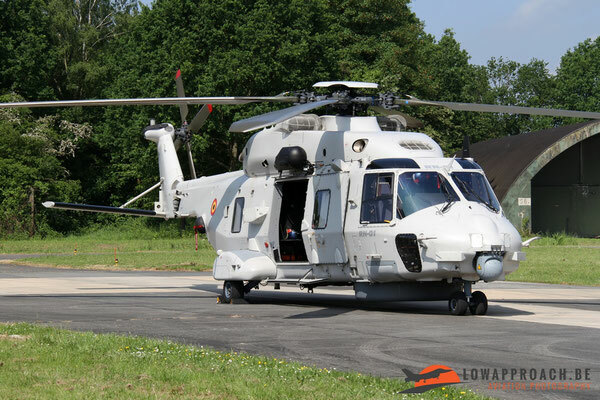 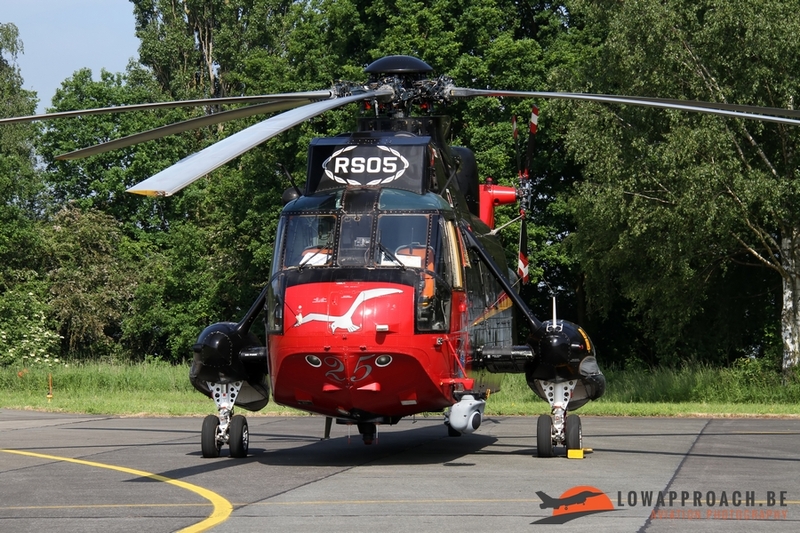 Once the upgrade is certified, this example, serialled RN04, will be the first to undergo the upgrade and only then it will be delivered to the Belgian Air Force. 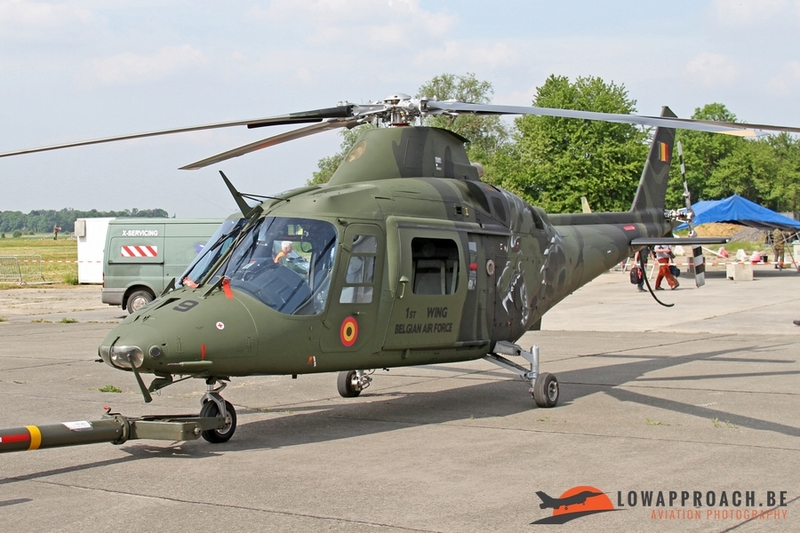 To keep the Belgian Sea Kings in the air, the Belgian Air Force acquired a recently retired Royal Air Force example to be used as a spares source. 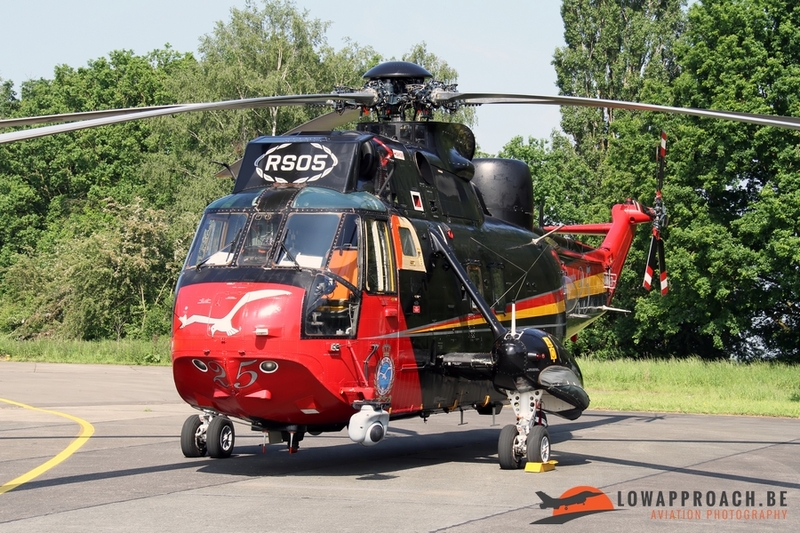 The example present at Beauvechain, registration RS05, is still wearing the special colorscheme applied to commemorate the 25 Years of service in Belgium in 2001. 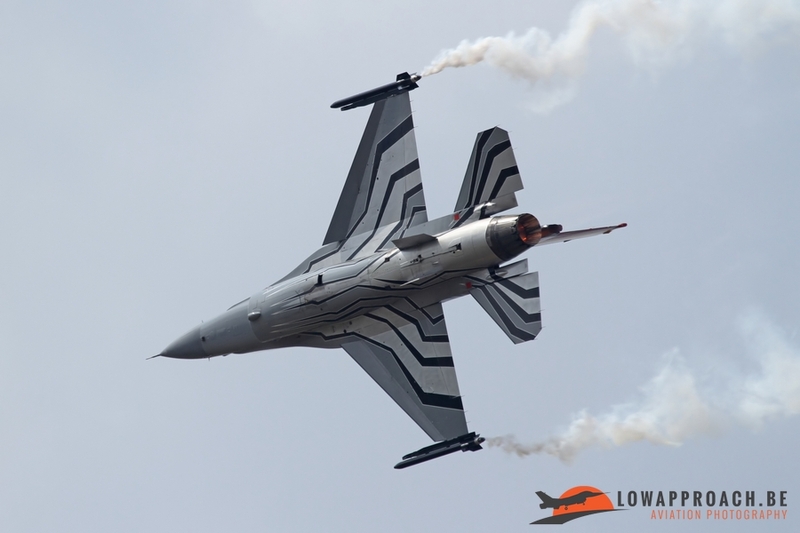 Later this year the same aircraft will get a new special colorscheme to celebrate 40 Years in service. 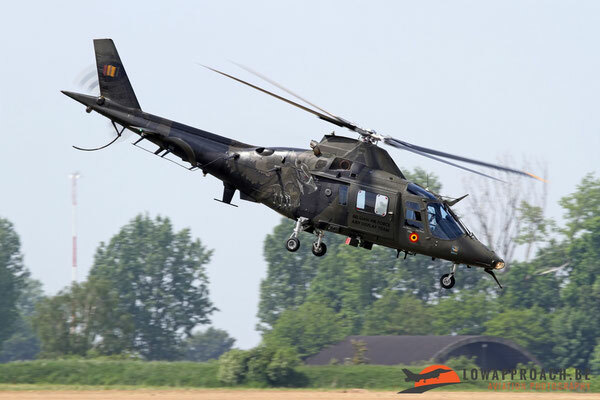 The second type that will be replaced by the NH90NFH is the Sud Aviation Alouette III, in service since 1971. 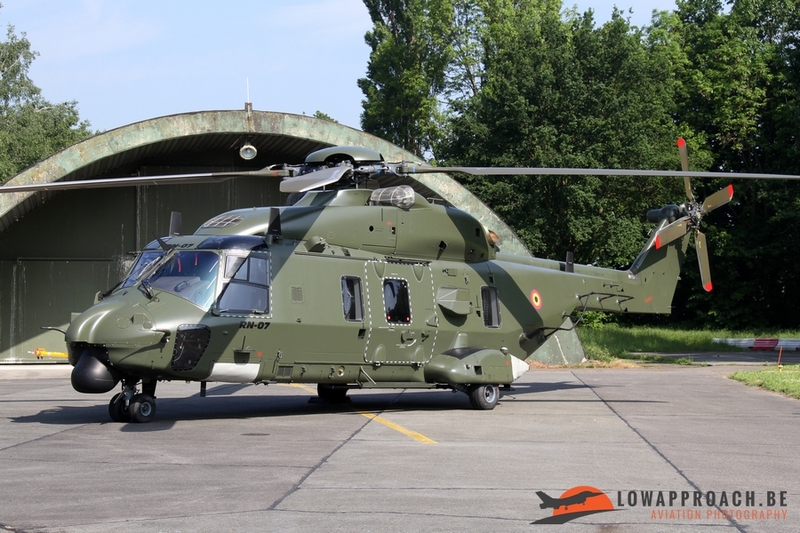 Unlike the Westland Sea King where two aircraft are already withdrawn from use, all three Alouette IIIs are still in service and regularly deploy on board Belgian and Dutch Navy Frigates. 1 Wing at Beauvechain is also the host unit for 5 Squadron, equipped with the Siai-Marchetti SF260D and SF260M. 36 SF260Ms entered service in 1969 to fulfill the elementary flying training role, replacing the Stampe-Vertongen SV4B. To cover for attrition in 1992 nine new SF260Ds were acquired. 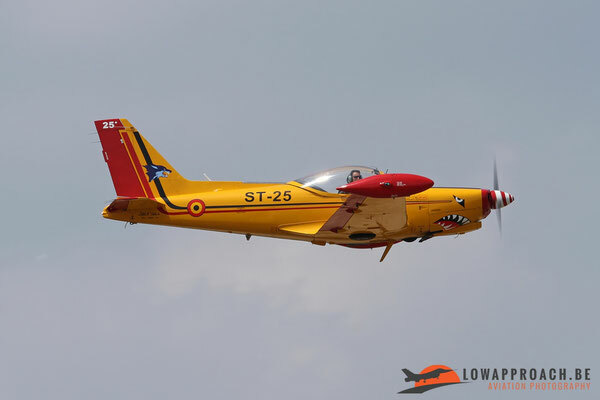 On the static display one SF260D, ST40, was seen, but later in the afternoon also a few of the older SF260Ms could be seen taking off on training flights. 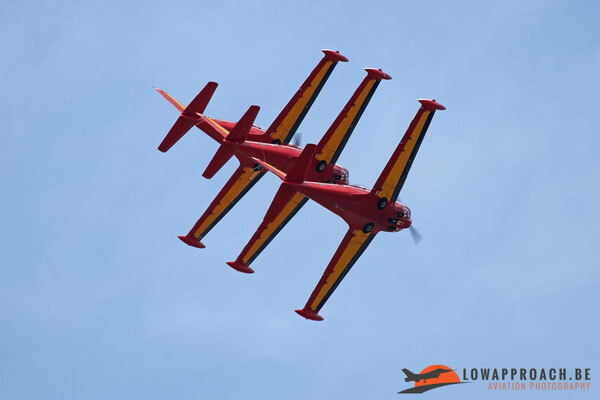 Another fixed-wing aircraft in the static was a Piper L21B Piper Cub, used by the Belgian Air Cadets for glider-towing. After photographing the static display we were moved to the other side of the runway for lunch and to prepare for the flying part of the day. 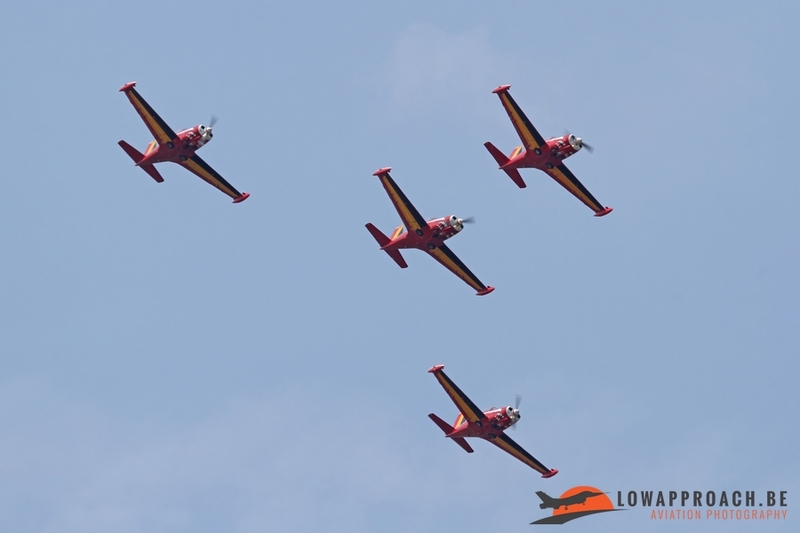 Around 14.00 hrs the THPU participants took off in mass and performed an impressive formation fly-by. 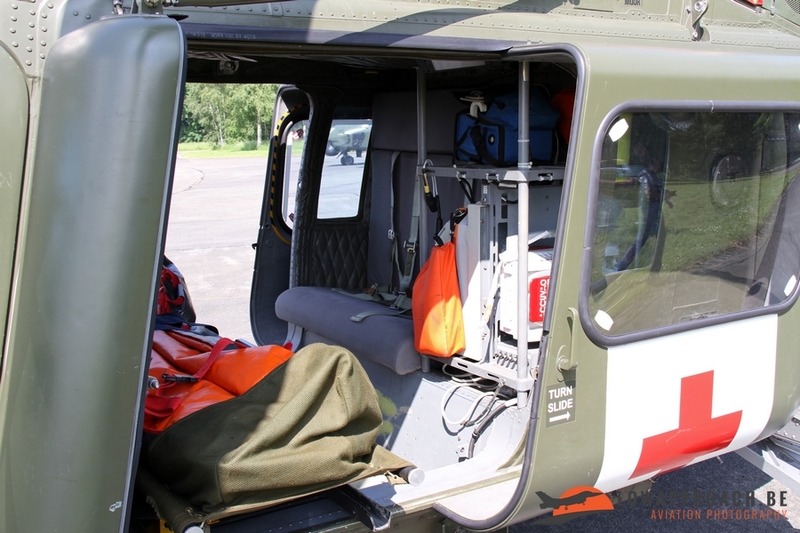 This was also the only what could be seen of the exercise as such, which was done off-base. 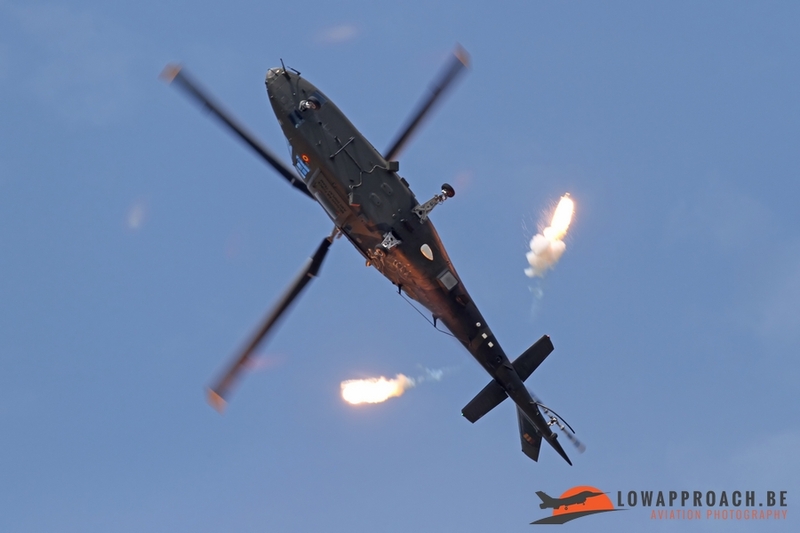 Many of us hoped for an individual fly-by of the participants upon their return, but unfortunately this did not happen. 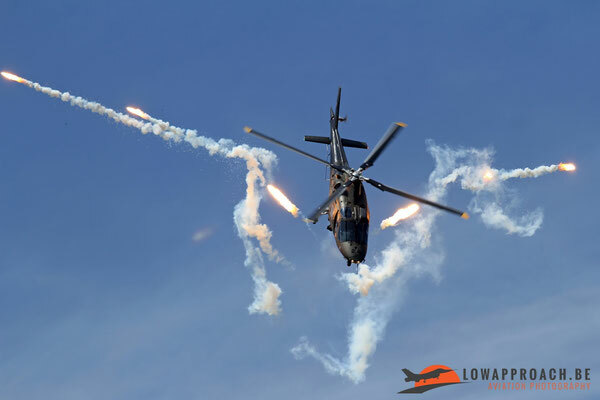 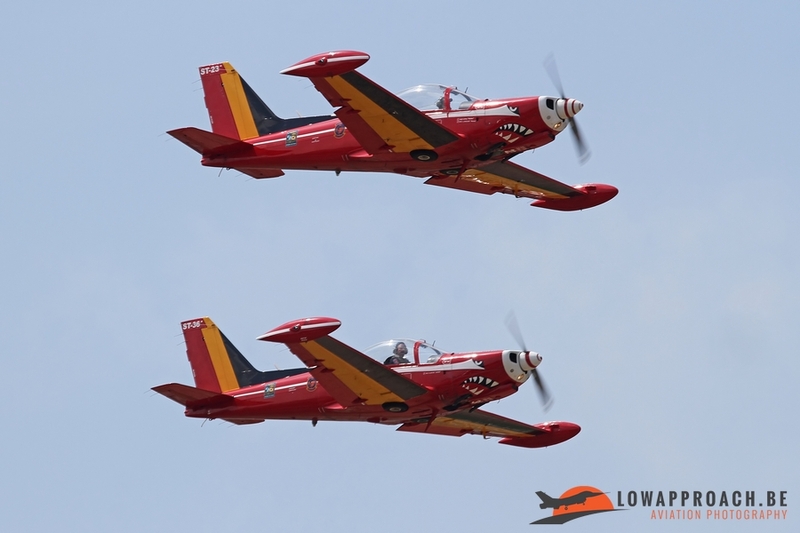 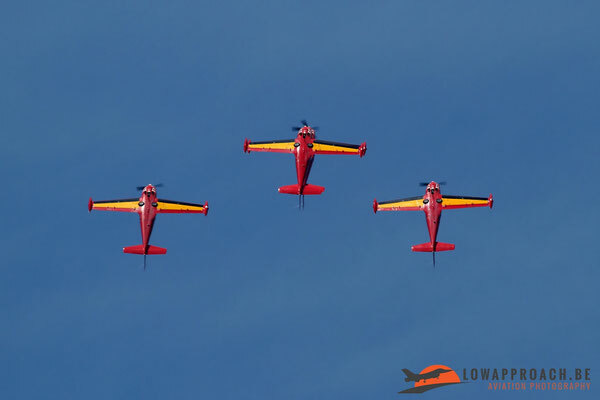 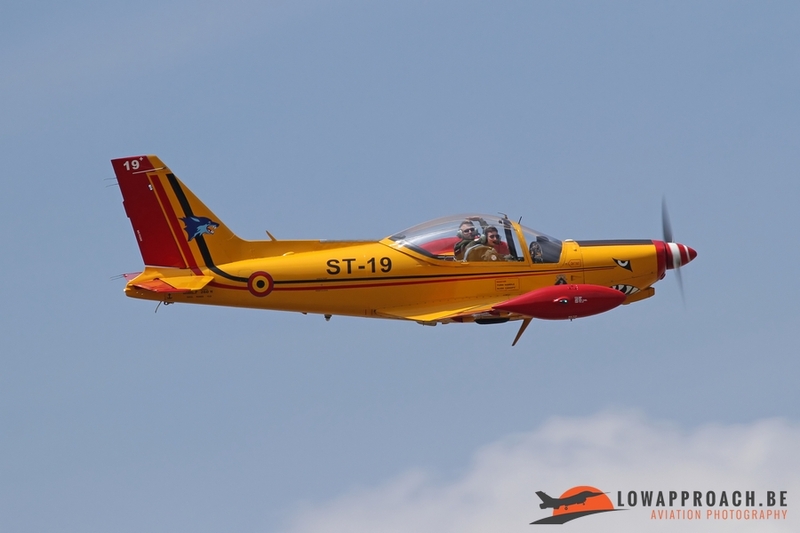 After the departure of the THPU-formation, the Belgian Air Force, presented the three air displays they are lining up for this years' airshow season. The first presentation came from the Agusta A109 Demo-team. 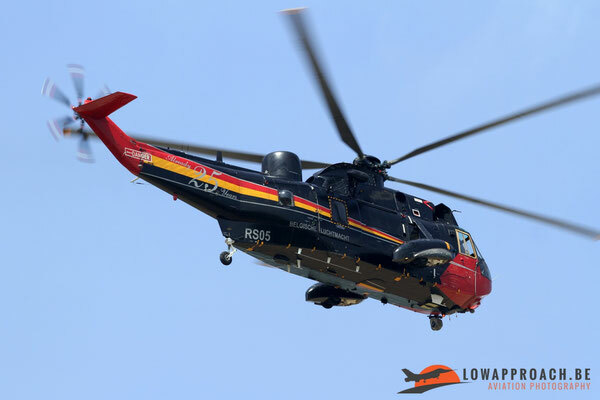 Unfortunately the newly painted helicopter was not completely ready, so this could only be seen in the static, but last years' A109 is still in its special display scheme, so the new crew used the 'old' aircraft for their demonstration. 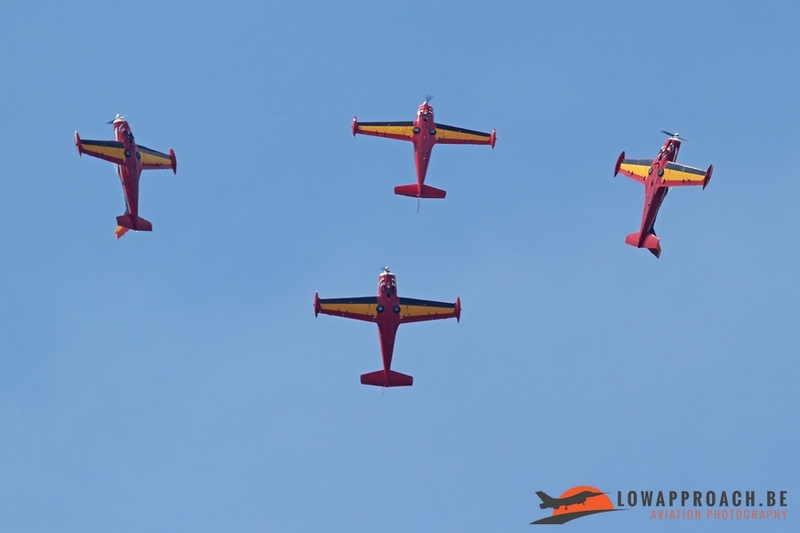 Next display on the planning were the Red Devils Formation team. The first Red Devils Aerobatic team was formed in 1960 at Chièvres airbase and was equipped with 4 red painted Hawker Hunters. 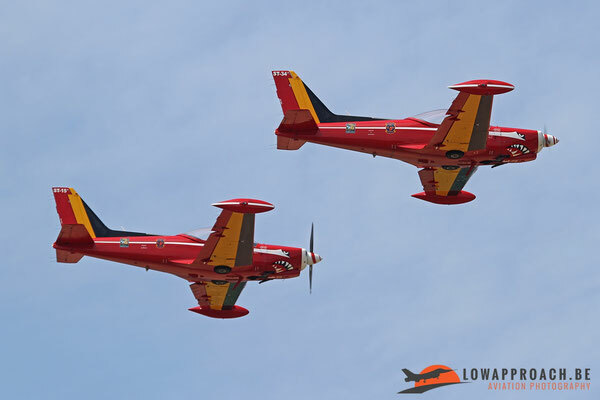 As such they took over from a larger Hawker Hunter team, which remained nameless and flew standard camouflaged aircraft. In 1963 the team was disbanded. In 1965 a new team Red Devils team was formed at Brustem airbase, equipped with the Fouga CM170R Magister. 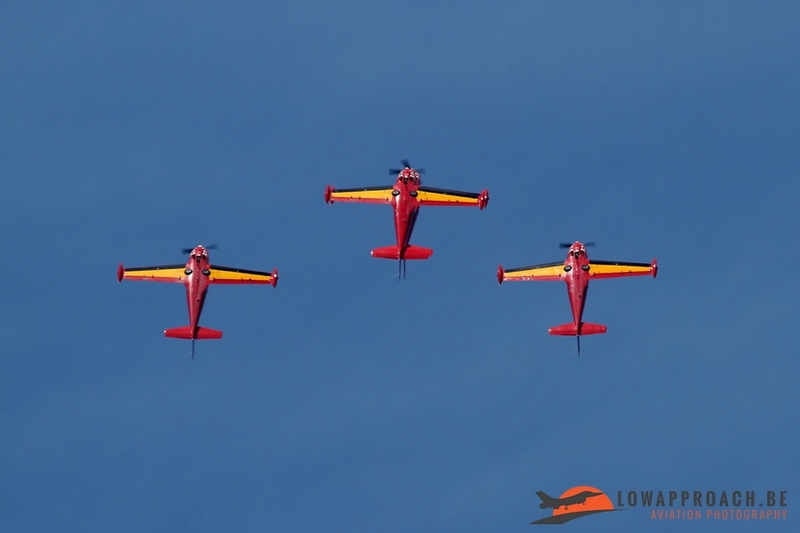 This team performed all across Europe until it was disbanded in 1977. 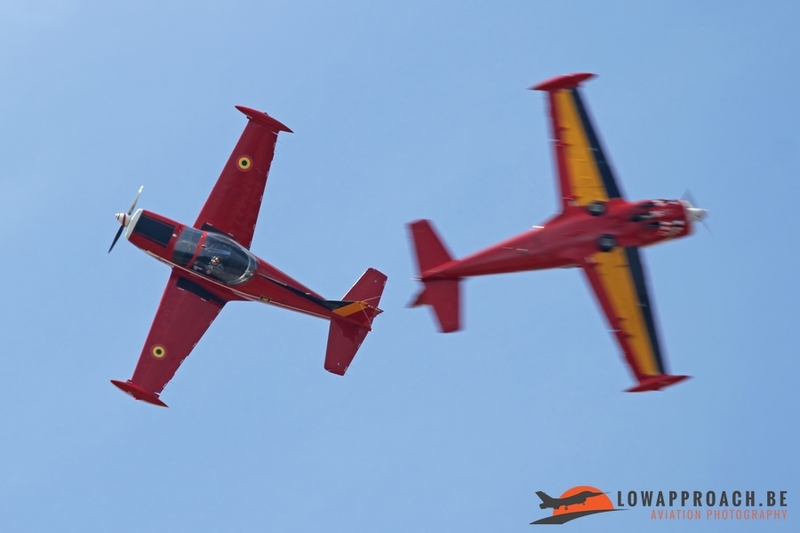 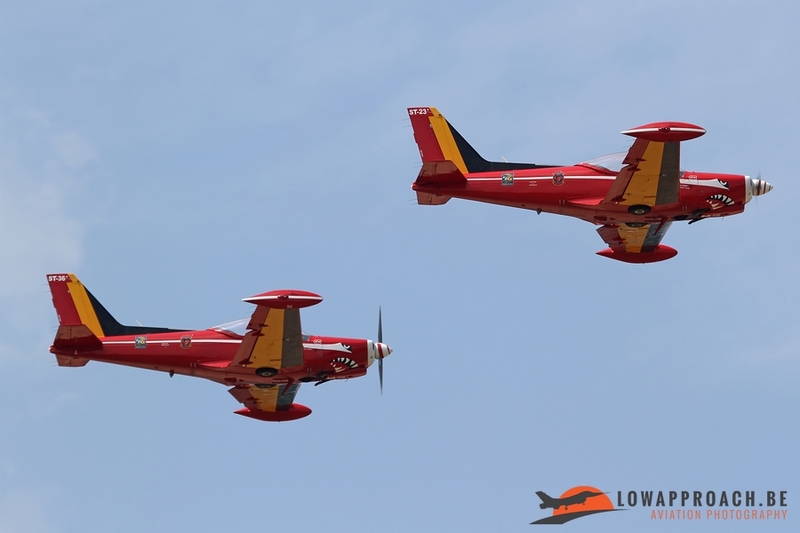 In April 2011 the current team, initially named 'Hardship Red' and equipped with the Siai-Marchetti SF260M, took over the well-known red livery and traditions of the Red Devils. Last demonstration of the afternoon was the impressive display of the Lockheed-Martin F16AM Fighting Falcon by the 10 Wing F-16 Solo Display-team. 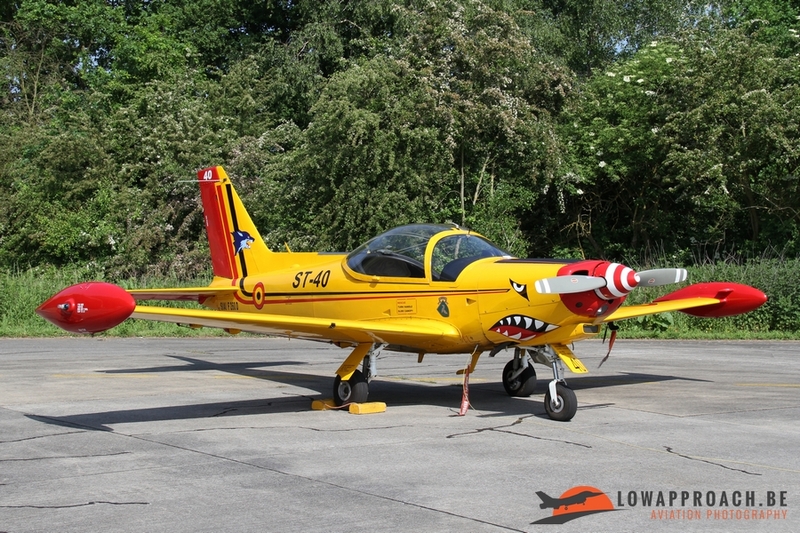 As in 2015, the aircraft will be flown in 2016 by Commandant Tom "Gizmo" De Moortel. 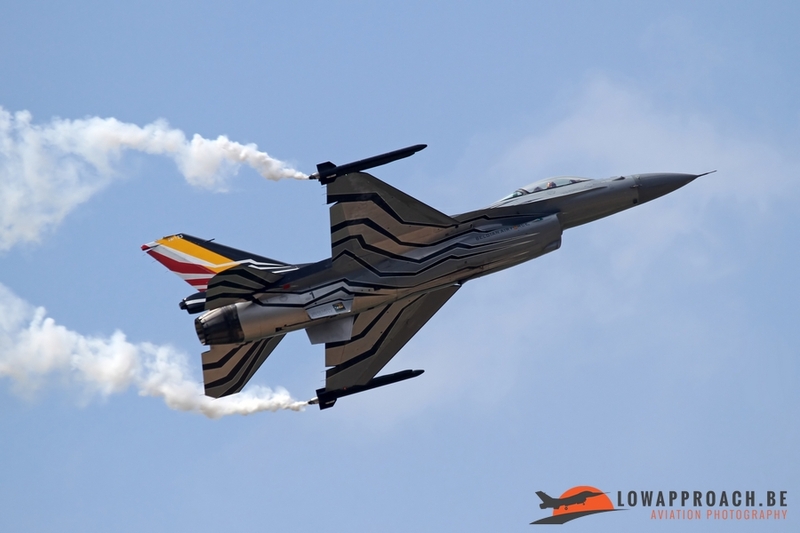 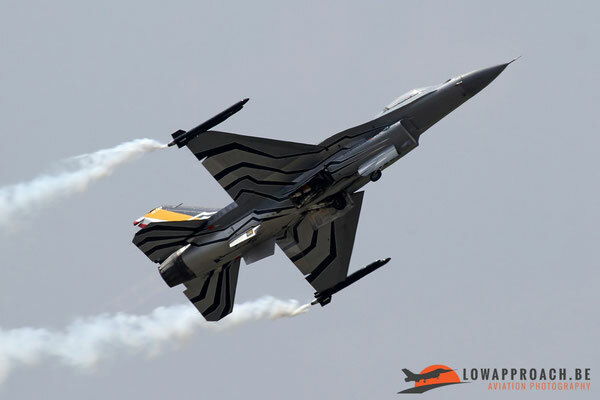 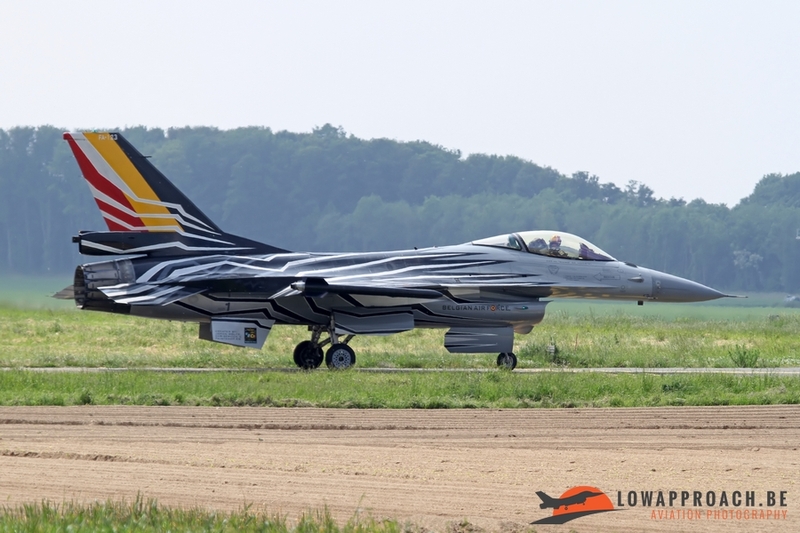 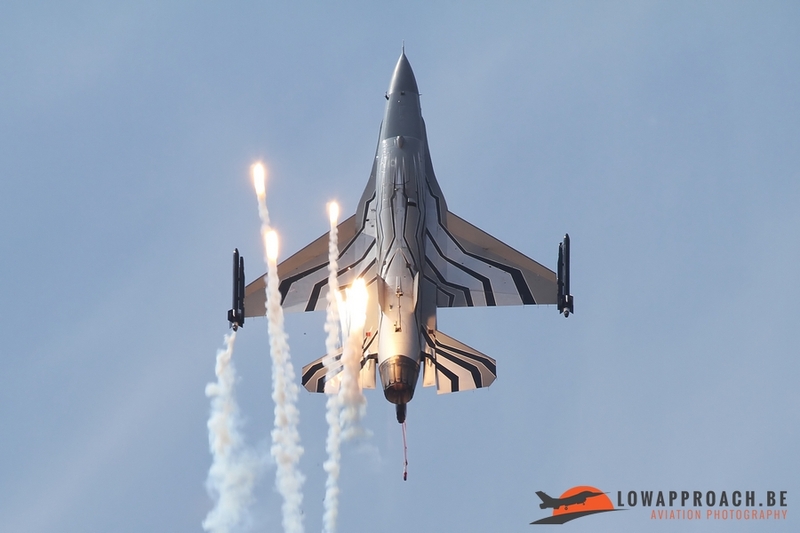 The F-16 Solo Display continues the tradition of the F16 display that was started in 1979 when the aircraft entered service in the Belgian Air Force. The display role rotates every three years between No 2 Wing, based at Florennes and No 10 Wing from Kleine Brogel. 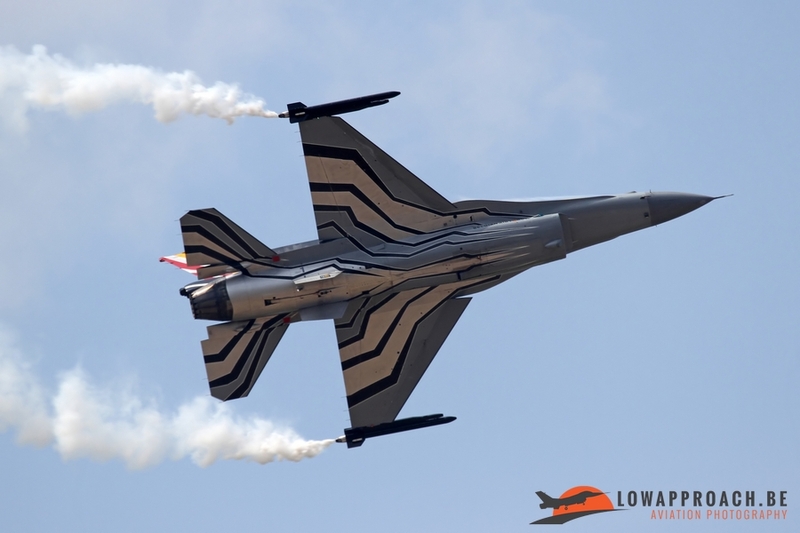 Also this year the F-16 Solo Display can be admired at airshows all across Europe. 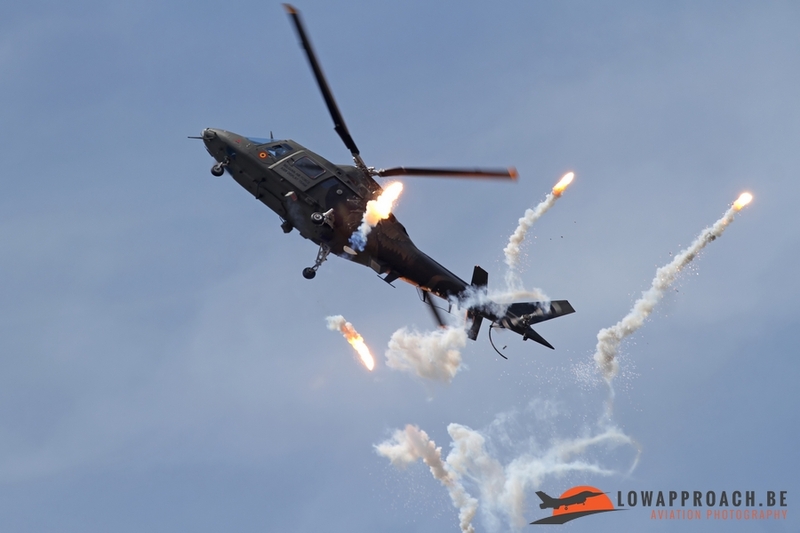 Overall it was a nice event to attend and we were extremely lucky with the weather conditions, which were perfect the whole. 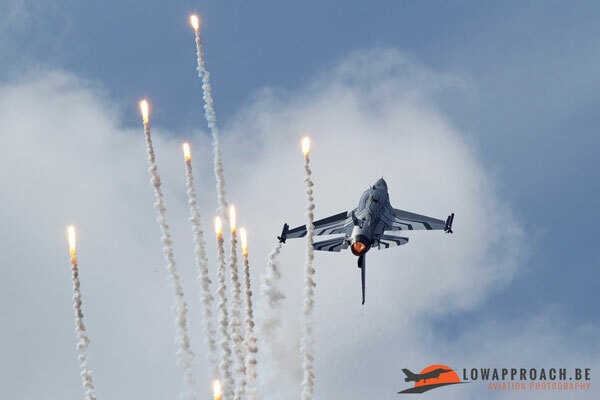 Everything was done to enable the photographers to make their pictures in the best possible lighting conditions. 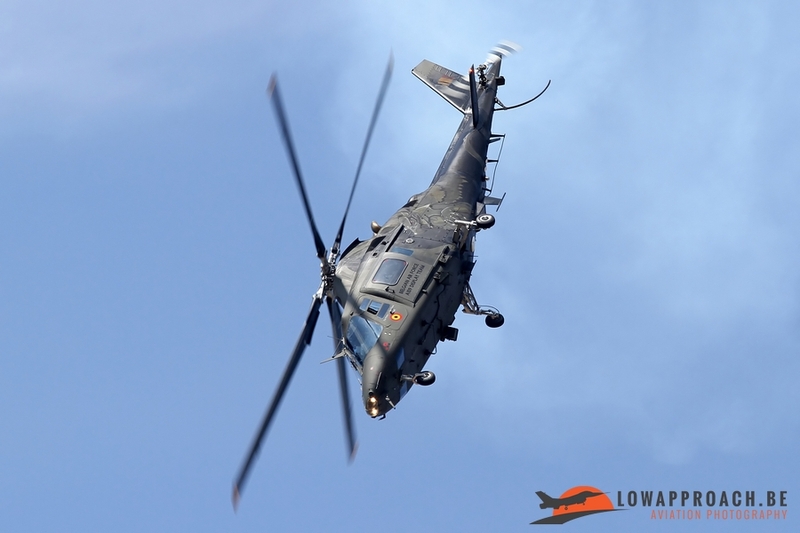 I hope that No 1 Wing and the Belgian Air Force Public Relations Office keeps the tradition going to organize an event during exercises of this type in the future, hopefully again with foreign attendees next year.